I’ve been thinking a lot lately about the concept of “everyday use” — as in, what we decide to use in our daily lives versus the things we perceive as keepsakes. Growing up, I know I heard the phrase, “Don’t sit on that furniture, you’ll ruin it,” at least a time or two. My grandfather, an upholsterer his entire life, handcrafted furniture to look more like pieces of art than functional objects. My jaw dropped when I finally learned how much quality furniture cost in my early 20’s. Isn’t our relationship with “things” funny? The idea of “everyday use” isn’t a new one. Alice Walker wrote an often anthologized short story about the very idea — what is the best use of the items in our life? Do we do them the most justice by letting them fulfill their purpose or should we honor them in some other way? From afar, perhaps? Do I display that handmade quilt or do I wrap in its warmth? Do I sip that sweet bottle of wine received as an anniversary gift or do I save it for a special occasion? My dance with the idea began this past Christmas. 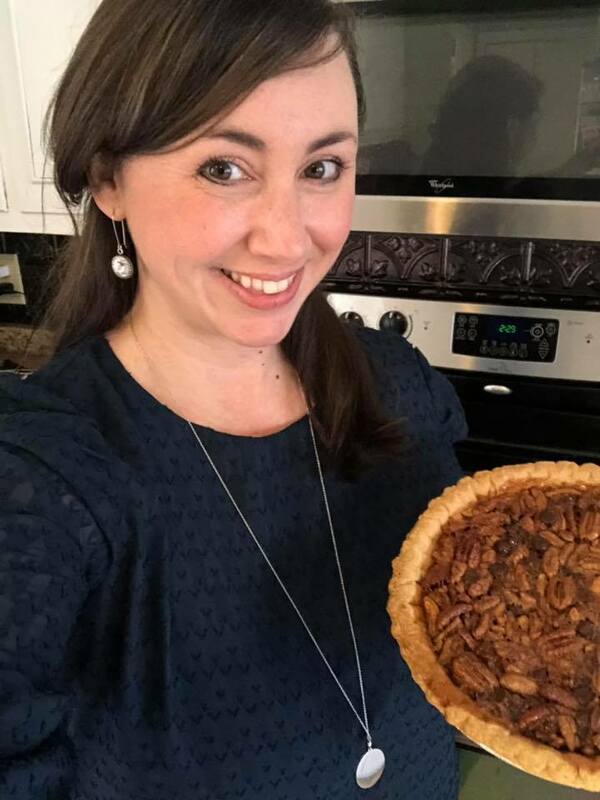 I make a pretty darn good bourbon, pecan pie. A dear friend was inquiring about its ingredients and we both commiserated that pecans are very expensive. I proudly noted that my pecans were homegrown and that my Grandpa Simmons had always provided them for me from his land. As a little girl, I twirled and danced in his gardens – gardens that not only fed our family, but also our small community. He was the grower and my Grandma, the cook. My grandfather made sure I had a healthy supply of pecans from his garden, often replenishing my stock and my soul each time I visited. Like the seasons change, so do the seasons of life and my heart still grieves his passing from a year ago. Each time I pulled one of the small frozen bags of pecans out of the freezer for baking this past Christmas, I felt a little anxious, a heaviness. I knew that these were HIS pecans and that once they were all used up, there would be no more — not like THESE pecans. I thought to myself, maybe I shouldn’t use them? Maybe I should keep them? And then, I thought, let them fulfill their purpose. Use them with love. Use them for special family and friends. Keeping them frozen would not accomplish a damn thing — let them fulfill their purpose to fill bellies and to create memories. If my children ever question something I’ve given them, I hope they choose to make it matter in everyday use. I hope they wrap in the warmth of that handmade quilt. I hope they kick their tired legs (no shoes, of course!) up on that beautifully upholstered settee. I hope they nourish their bodies and souls with the food so lovingly grown and provided for them. I hope they allow everyday things to fill their lives with joy. 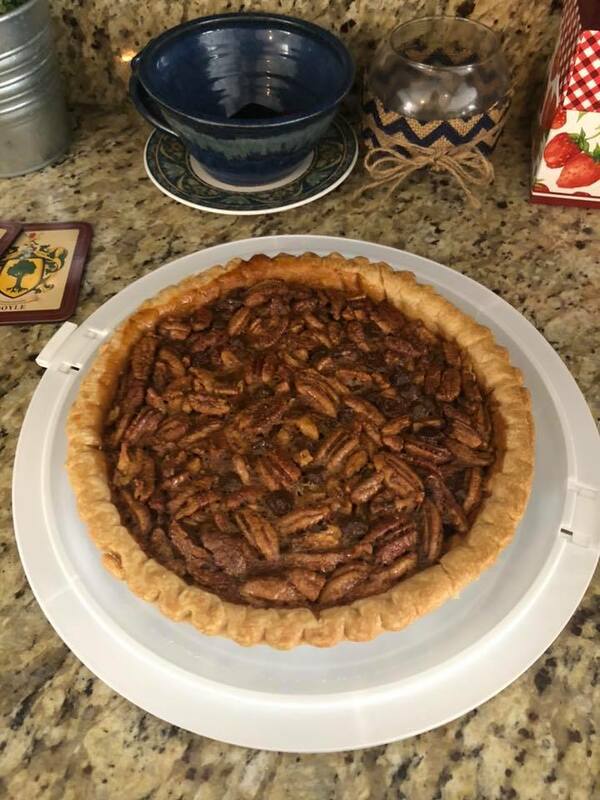 So, here they are — the last of my Grandpa’s pecans. Tonight at dinner they will accompany the quail my husband and his friends brought home on Saturday after their hunt and together, surrounded by friends, we will fill our bellies with some very special pecans and they will be used so very well. Jennifer Boyle was born and raised in the foothills of North Carolina. She now lives in Lexington, NC and is a lover of rhetoric, western style liver-mush, education, BBQ, and fully embracing her mountain mama self to two little boys and one spirited husband.